One thing you don’t get as part of your lovely new iPad package is a manual on how to use it. Luckily, the iPhone operating system (which the iPad also runs) is wonderfully intuitive and simple to use – so you really don’t need one. 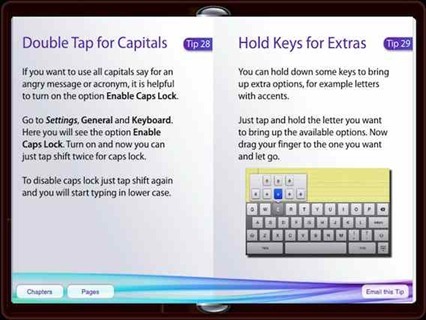 This is one of the strongest features of the iPad and the iPhone platform – its interface which is not only easy, but also a pleasure to use. The cover page of this one is shown in the screencap at the top of this post. Tips & Tricks – iPad Edition (the same developers also publish and excellent guide for the iPhone) is just short of 90 pages on the iPad. The content is very well presented with good use of images to make things clearer. 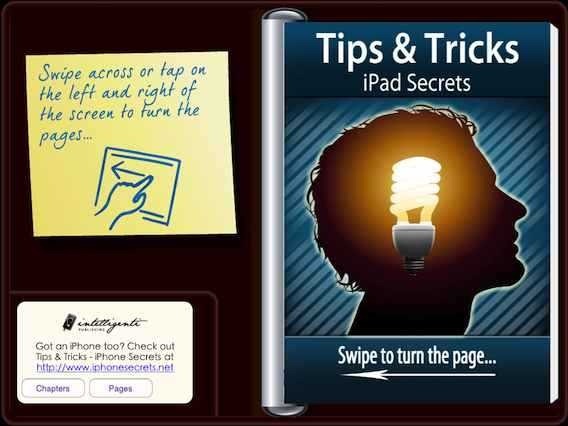 You can find Tips & Tricks – iPad Edition in the App Store now. 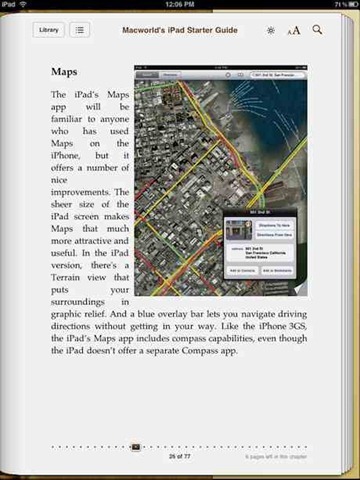 It is priced at just $0.99 right now – a 66% discount for its first week, which runs out on May 8th. 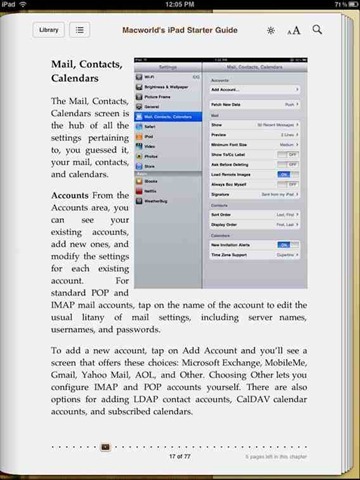 Another top-notch guide from a top site, Macworld. This one is just under 80 pages on the iPad, and is delivered in epub format as a free eBook, to be read in the iBooks app. It offers a great overview of iPad basics, as well as sections covering using the iWork apps for iPad (which go for $9.99 each and offer effective word processing, spreadsheet, and slide presentation for the iPad) and even mini-reviews of some suggested third party apps. 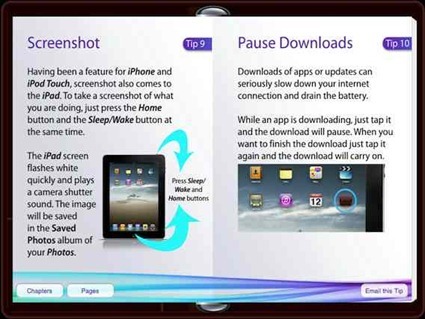 I hope you find these guides useful in getting to know your lovely new iPad. 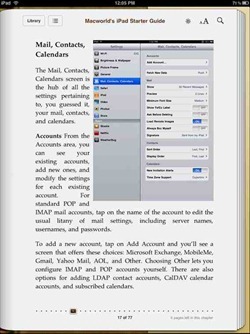 Dont forget Apples own iPad user manual accessed by using the built in Safari bookmark. Good point. Just added a line and a link to their guided tour pages.